With all of the excitement from my trip out West, I thought it was time to return to our fantastic little slice of heaven here on earth with a local seacoast shot. This is another take on the North Church’s clocktower. 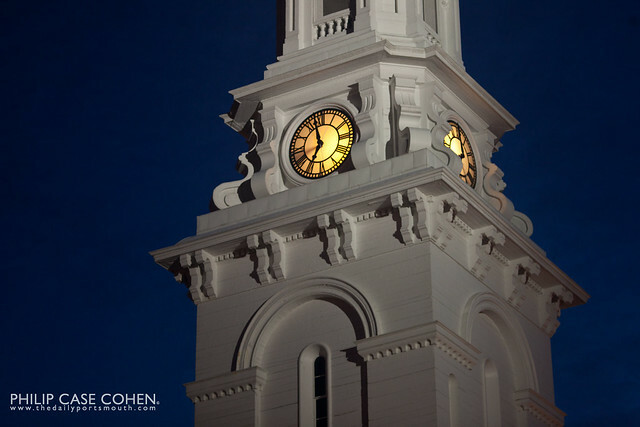 It’s a familiar site, one I’ve featured often – as it’s one of the most recognizable landmarks in downtown Portsmouth, but I wanted to post today’s photo for a special reason. This was taken with a very unique lens, one that’s very important to me. 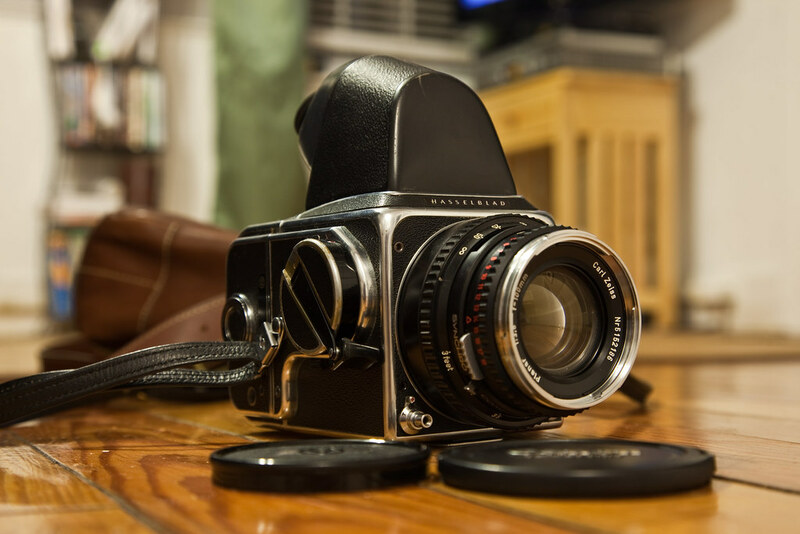 I was fortunate to be given a gorgeous vintage Hasselblad camera by my Uncle Nate (Tudy) Sock. As far as I can remember, Uncle Tudy was the first prolific photographer in our family, and I’m sure that all of our family’s appreciation and passion for photography is thanks to him. He’s traveled the world with the Hasselblad, one of the most exotic locations I remember hearing about was one of his safaris in Africa. I love hearing about his travels and how much he enjoyed capturing the world around him, knowing that I feel the same rush when I am out shooting on adventures. The camera itself is gorgeous (see below). In a digital world, I had a difficult time determining whether it was functioning correctly…so in the meantime, I was able to find an adapter that let me use the Carl Zeiss 100mm f 3.5 lens on my Canon 5d Mark II. Zeiss has always built incredibly quality products, with exceptional glass quality. What you’ll notice is the remarkable clarity and color from just a single exposure with this lens. I look forward to many more photos with this beauty…and with the camera itself now that I seem to have it working smoothly (time to order some slide film!). Thanks for visiting.